When it comes to gravel riding, the Lynskey Pro GR brings its briefcase. This bike is all business. It’s high-performance titanium for gravel. It’s a race bike—the big “PRO” in black letters on its top tube should make that clear. When we learned more about 6/4 Ti it became even clearer. When we rode it, it was obvious. This thing is a purpose-built tool. It’s the hammer when Midwest gravel is the nail. • Huge, triangular tubes set the Lynskey PRO GR apart from other Ti bikes – aesthetically and under power. • Lynskey opted for real stability with a very long wheelbase. 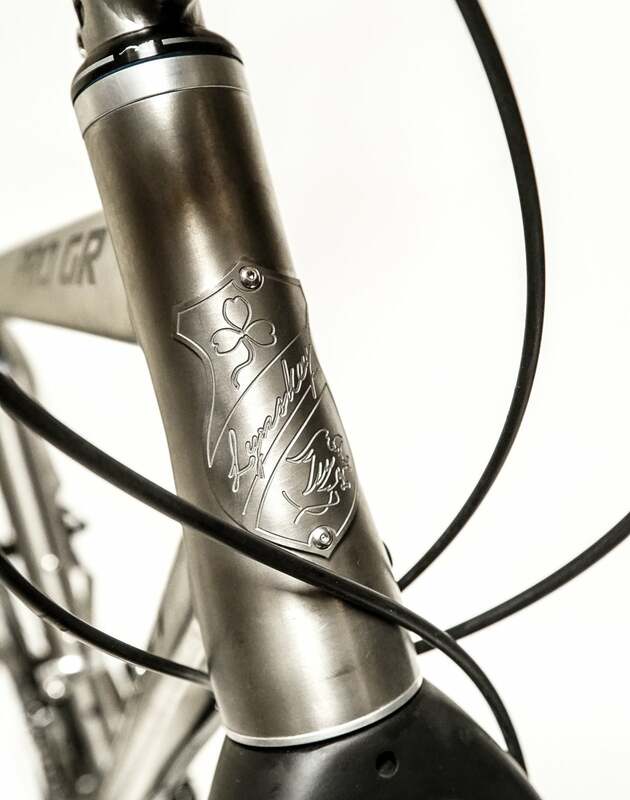 • Numerous beautiful details showoff the legendary Lynskey craftsmanship making the PRO GR a real ‘forever’ bike. The bike’s standout feature is clearly the giant triangular tubing used for the top and down tubes. It’s an uncommon look in titanium, the land of slender, round, silvery-gray tubes. 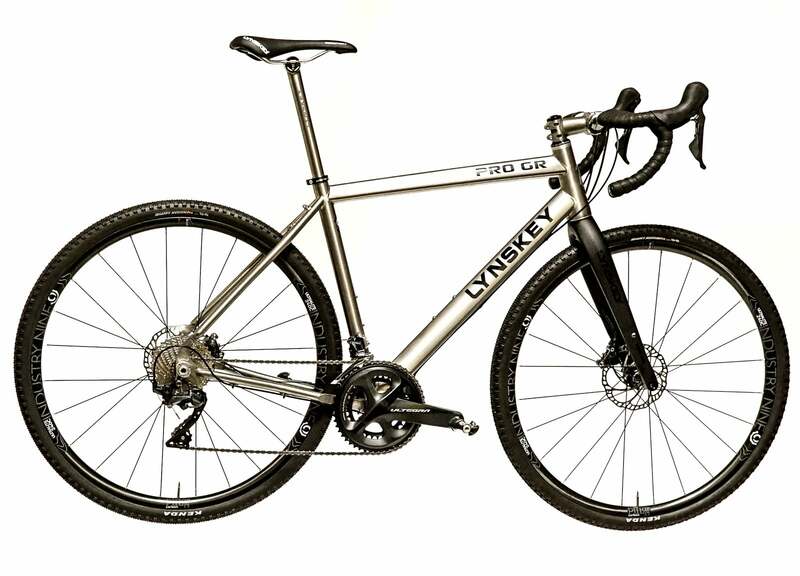 But it’s not uncommon for Lynskey, which has used the design in its top-tier road-race frames. The big triangular tubes are enormous, announcing the bike’s stiffness even before a pedal is turned in anger. Lynskey uses 6Al/4V Ti, instead of the more common 3Al/2.5V Ti recipe. The numbers describe the amount of aluminum and vanadium alloyed to the titanium. 3/2.5 is easy to work with, delivering the buttery ride titanium is legendary for. The 6/4 is stronger, tougher to work, adding a huge dose of “ride it through a brick wall” durability and stiffness to the ride quality. But this bike is much more than just beefy tubes and a muscular Ti recipe. It’s versatile, with massive tire clearance. In 650b mode, a 2.1-inch tire will clear, while a 45mm tire will clear in 700c spec. If you need more than that, buy a fat bike. Instead of a dropped chainstay design, like we see with the OPEN and 3T bikes, Lynskey has fitted the driveside chainstay with a Ti plate behind the chainrings. Much narrower than a Ti tube, it gives both the drivetrain and the tires the real estate they need. Lynskey also extended the rear of the bike. The chainstays are 435mm long. That’s long, really long. For example, another gravel “race” bike, the 3T Exploro, has a 20mm shorter rear end. Even the OPEN U.P., a much more relaxed bike, is just 420mm. This long rear end delivers huge clearance and a stable wheelbase, but does it come at the expense of a snappy feel at the pedals? There are countless other touches. The beautiful rear-plate dropouts feature concentric through-axle nuts. Why? 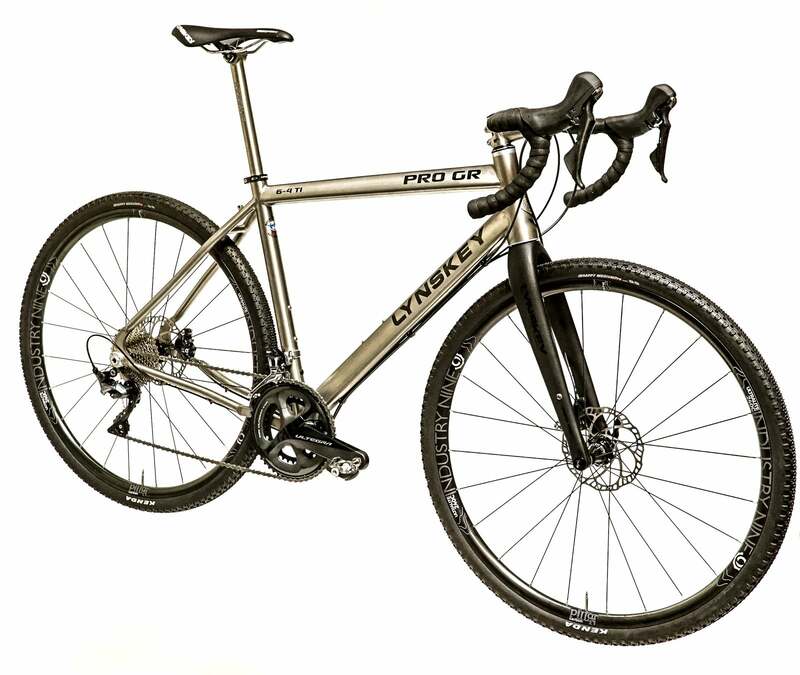 They ensure Lynskey can send the PRO GR out of the shop dead straight without cold-working the finished frame, and it means if you prang a rear wheel 100 miles from home and it’s buzzing your frame, you can pull it off the stays by reorienting the concentric through-axle nuts. It’s unlikely you’ll ever need this feature, but if you do it could be a literal lifesaver. It’s set up for electronic routing, with removable guides if you run eTap, while its rear hydraulic-brake hose and mechanical cables run externally. The carbon fork is tailor made for the bike by Lynskey with a tapered steer tube for the oversize head tube and it runs the front hose internally. To be honest, we’d love to see all the hoses and cables run internally; the bike has a busy down tube and internal routing would make it look cleaner and easier to clean. When you’re buying Ti, you’re buying a forever bike. We’ve run into countless people that lament selling a Ti bike. The regret usually sets in a few weeks after the bike is gone. This is because a good Ti frame is more than just ride quality and durability. 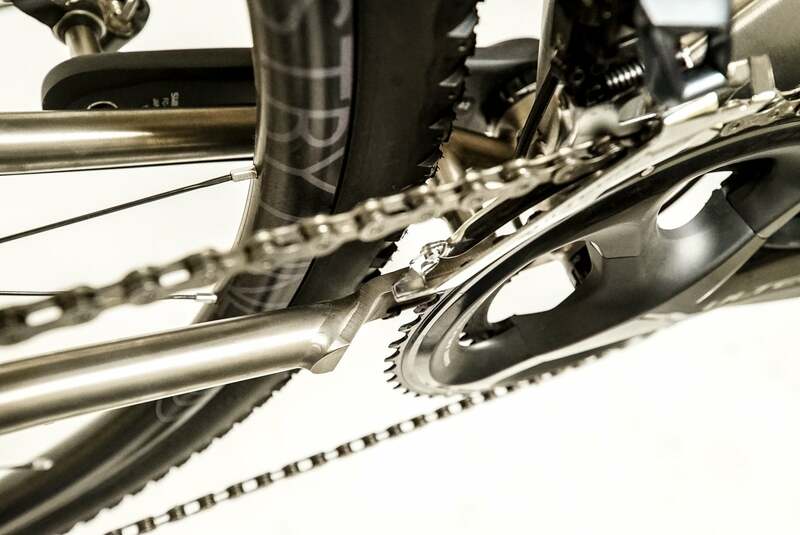 They are works of art, and the Lynskey PRO GR is no exception. 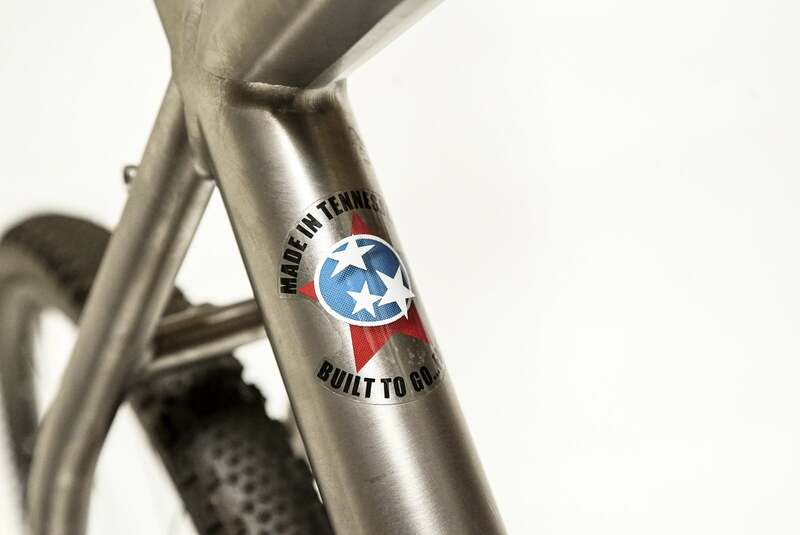 The torch work, executed in Tennessee, is exceptional; and beautiful touches abound, from the engraved and riveted head-tube badge to the engraved dropouts. 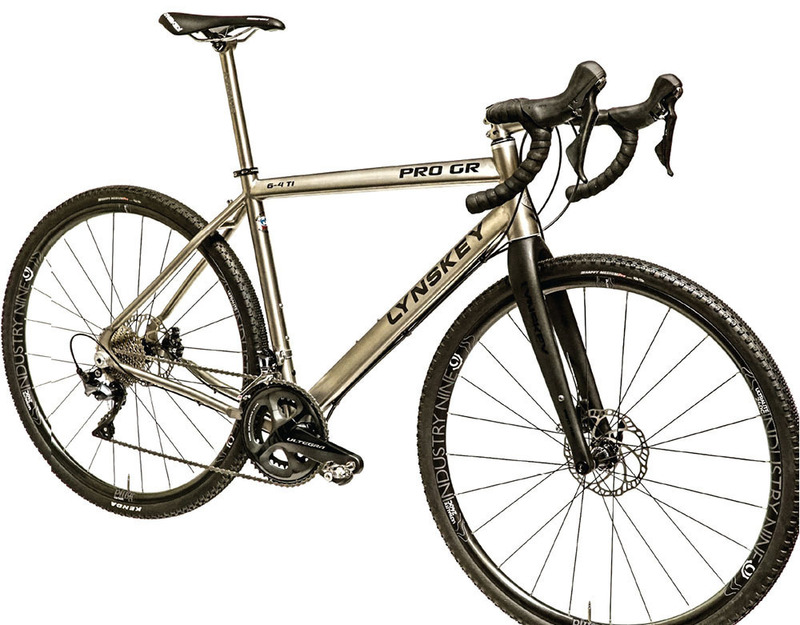 A PRO GR frame costs just $2,550 and is worth a lot more in our opinion. An Ultegra mechanical build starts at $5,215, with many build and wheel options up to Dura-Ace Di2 and Stan’s carbon wheelsets, as well as decal and finish options. The effort Lynskey put into making the PRO GR a race bike is immediately apparent at the pedals; it’s the stiffest rear end we’ve experienced in Ti. Yes, this makes the bike’s overall ride quality stiffer than traditional Ti bikes, but with all the bike’s tire volume, that stiffness is easily mitigated in the saddle and at the bars with tire pressure. The bike simply eats up gravel miles at high speed, ideal for Midwest gravel racing, with its combo of a long rear end and power transfer creating a package that confidently keeps the power down on almost any gravel road, letting the rider respond to, or dictate, the pace at the front, with ease—assuming you have the motor of course. Despite the bike’s obvious stiffness, it’s not going to be the most lively bike on a hillier course. It will motor a climb at tempo, but out of the saddle the long rear end seems to blunt some of the bike’s reactivity compared to gravel race bikes with the rear wheel tucked under the rider. However, this is a tradeoff that pays off in deep soupy gravel or for the bike packer. And it can haul gear with the best adventure bikes, thanks to its stability and rack mounts. Want to do the Dirty Kanza-Tour Divide double? This might be your bike.